My garden is rather bare on the flower front at the moment, apart from the beds of Bergenias – affectionately know as ‘elephant ears’ that are just starting to show their winter display of small pink flowers. It’s meant a bit of ‘thumb twirling’ as far as my Garden Fairy’s Wardrobe is concerned. That is until last month when Mr Petal & Pins gave me a beautiful bunch of flowers for our wedding anniversary, which you may know about from my post A Spring Proposal. 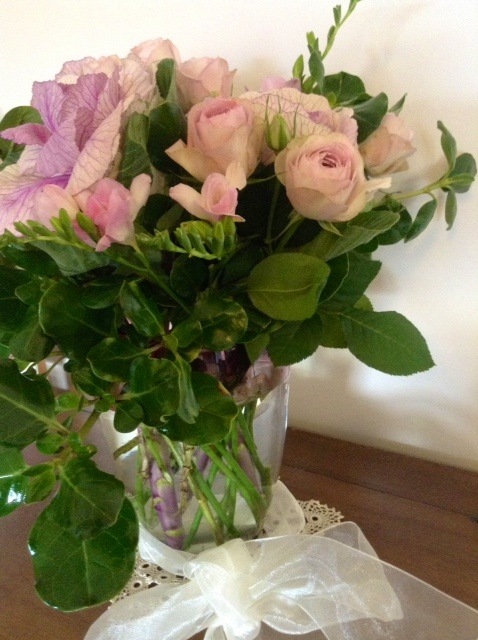 The bouquet was a divine surprise – pinky mauve roses, heavenly scented freesias and brassica – yes that’s kale or cabbage! Brassica sounds much more sophisticated than cabbage – but so does the french endearment ‘Mon Petit Chou’ than it’s english translation! What ever you choose to call them they were exquisite and gave the bouquet a dramatic edge. 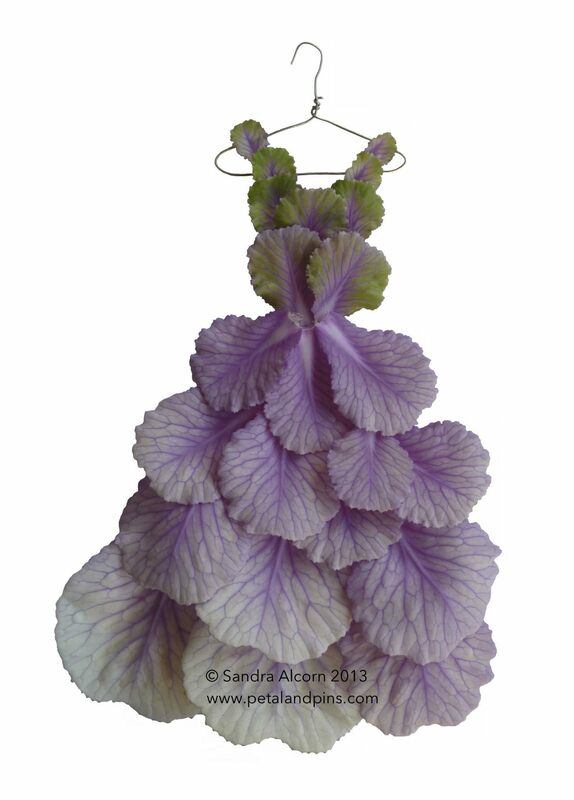 One month on I’m still enjoying some of the brassica in a vase (they out lasted the freesias and roses) and some gave new inspiration for my Garden Fairy’s Wardrobe. Tres Belle! Magnifique! And jolly lovely! !